With a deep freeze predicted for most of the Midwest this last week of January, many Champaign-Urbana area parents, teachers and kids are wondering: will school be canceled? 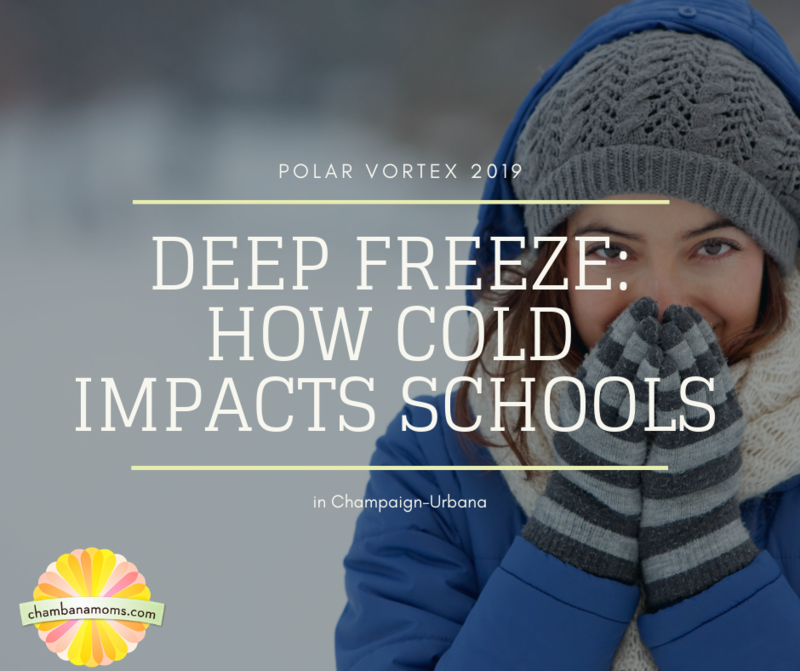 The Champaign-Urbana area experienced widespread school closings due to cold weather during the winter of 2014, the last time the polar vortex visited the Midwest, although closures due to cold have happened as recently as 2018. If the weather this week is as dire as predicted, the double whammy of sub-zero temps and high winds could lead to potentially dangerous conditions. The wind chill index under those conditions will dip under well under -20 (more on that later). The decision to cancel school generally is in the hands of the district superintendents, and it’s not one that they take lightly. For some children, school may be the one of the few places where they feel safe. For some children, school is where they receive two nutritious meals per day. Almost all factors involved when considering school closures are based around the safety of students. They include looking at road conditions and transportation issues, building conditions, and most significantly when it comes to cold days, wind chill – or more precisely, the wind chill index. Most schools in the Champaign-Urbana area do not have formal policies regarding cold weather closures. In cold weather states such as Michigan and Minnesota, it’s not uncommon for districts to have a standard policy that school will be closed when the wind chill index hits a certain level, such as -15, -20 or -25. The National Weather Service calculates the wind chill index using two factors: wind speed in miles per hour and temperature in degrees Fahrenheit. “The wind chill index helps you determine when dangerous conditions develop that could lead to frostbite or hypothermia. It takes into account heat loss from the human body to its surroundings during cold and windy weather,” says the NWS website. Conditions that could lead to frostbite in less than 30 minutes concern school administrators, since that could pose a clear danger to children walking to and from school – as well as those who walk and wait at bus stops. Urbana’s website has info regarding how it informs families of closings, but doesn’t outline the process of making such decisions. Many parents recognize that school administrators have a difficult decision to make.